Richard Wood, assistant professor of civil engineering, took high-definition images of the Cather and Pound residence halls both before and after (pictured) their demolition on Dec. 22, 2017. Though Cather and Pound residence halls were reduced to a pile of rubble after their demolition on Dec. 22, 2017, their legacy could help make other structures stand tall and be less susceptible to catastrophe. A research team of University of Nebraska-Lincoln civil engineers – consisting of faculty Daniel Linzell, Richard Wood and Christine Wittich, and graduate students – placed sensors throughout the two 13-story buildings and three nearby structures to collect data on how the buildings behaved and reacted before, during and after demolition. “We had five laptops running and collecting numerous datasets and collected detailed images from drone flights. Preliminary processing of that data looks very promising,” said Wood, assistant professor of civil engineering. One of the most unique aspects of the project was a high level of cooperation between multiple university departments (Housing and Facilities), the contractor and the engineering team to ensure the safety and access for this research, according to Linzell. The challenges of the research project are also providing immediate benefits for students. 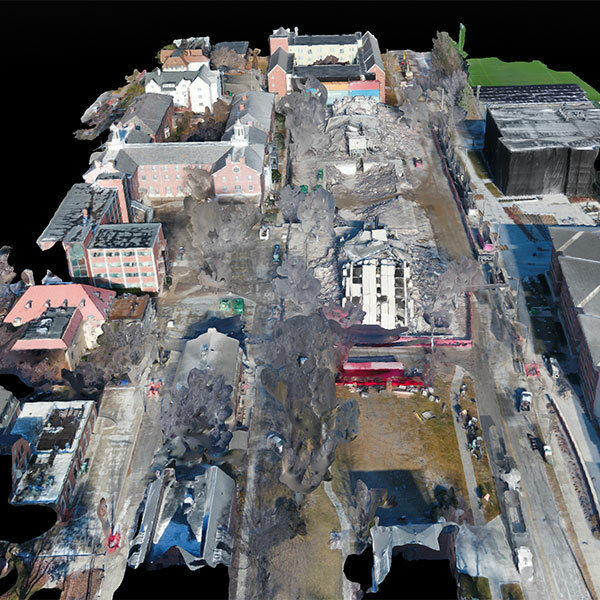 “The research Dr. Wood is performing – especially as it relates to drone imaging, remote sensing and the creation of three-dimensional digital representations of civil infrastructure – could be used to not only educate students at the graduate level but at the undergraduate level for many years to come,” Linzell said.